If you want to head out onto the open road on two wheels then the first thing you’ll want to do is take your CBT test in Portsmouth. 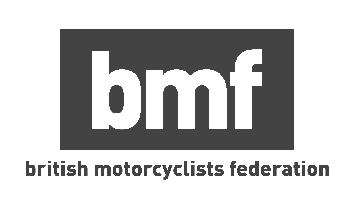 CBT stands for Compulsory Basic Training and it’s the minimum level of training required for you to legally ride on the UK’s roads on two wheels with L-plates. It may be commonly known as the CBT test, but don’t worry, there’s no actual test involved. You can take your CBT test in Portsmouth from the age of 16, and at that age you will be allowed to ride a motorcycle or scooter upto 50cc with a restricted top speed of 30mph. If you’re 17 and above, you’ll be allowed to ride anything upto 125cc. When you take your CBT test in Portsmouth you will have the choice of riding a manual motorcycle or an automatic ‘twist ‘n’ go’ scooter. Unlike your car test, you will not be limited to an automatic scooter if this is what you choose for your CBT test in Portsmouth, but we suggest using whatever type of machine you’re likely to be using on the road. Automatic scooters are easier to ride for beginners due to the lack of a clutch and manual gearbox, but they lack the controllability that a clutch brings, especially during slow riding. Is there a CBT test centre in Portsmouth? We at RideTo currently have three CBT test centres in the Portsmouth area, as well as a few in Southampton if you would prefer to complete your CBT there. The first Portsmouth training centre, Phoenix Motorcycle Training, is located in Fareham. It’s away from the city centre - which means quieter roads - but still has good public transport links. Phoenix Motorcycle Training are MCIAC Approved, which means the instruction and customer service they offer to all their students is second to none. Further inland, Phoenix Motorcycle Training have another training centre, located in Wickham. This test site is also MCIAC approved. The Wickham centre has a spacious off-road area and the surrounding roads are quiet. The third training centre is located in Gosport, right on the edge of Portsmouth Harbour, at the Explosion Museum. Kick Start Motorcycle Training have been teaching students how to ride for a long time, so they’re an extremely passionate and knowledgeable bunch. When you book your CBT with Kick Start through RideTo, your training will be confirmed straight away - you won’t have to wait for a call back from the instructor. All CBT test centres in Portsmouth provide helmets for the day and have a range of manual and automatic machines for you to use.